Today marks the anniversary of the birth of Percy Bysshe Shelley, icon of romantic literature and a figure whose remarkable life never ceases to provoke debate and fascination. 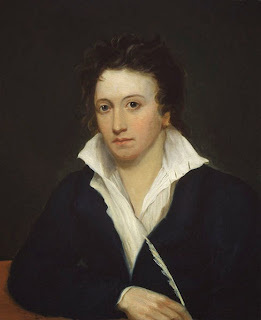 Shelley has appeared at the Guide on several occasions and so, to mark the anniversary, I thought I would revisit some of those posts today with this Shelley digest. The Peterloo Massacre: The events that inspired The Masque of Anarchy. "You are a Female, I won’t say Woman"
Choose Your Own Adventure... 18th Century Style!